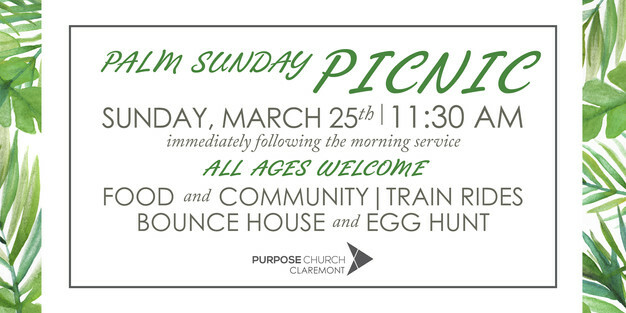 Join us this Sunday, March 25 immediately following the service for our 2nd annual Palm Sunday Picnic. Enjoy delicious food with friends and family, with free train rides, a bounce house, and Easter egg hunt for the kids. Hope to see you there.